Our lovely Hijabi fashionistas outfit trends bring 10 simple DIY hijab accessories Hacks that you can do in minutes.If you are tired of wearing the mainstream hijab again and again this post is for you .With these simple hijab fashion tips you can add a new style to your modest fashion. You can have a real swag with hijab if you know these little hacks. You can make cool hijab accessories yourself by following these tutorials.Last time we talked about some amazing DIY hair accessories projects.We know that how much girls are obsessed in styling their hijab with different accessories.With little creativity you can make your own accessories and alter the things to give it new style.so if you are looking for ideas what accessories to wear with hijab and how to make your hijab look more fashionable make sure read these all DIY hijab fashion tutorials carefully.Lets see the collection now. Paint the booby pins with different nail polish colors bring variety in your accessories. If you are like me who always looses pin after removing hijab and then always have to look for them again and again. 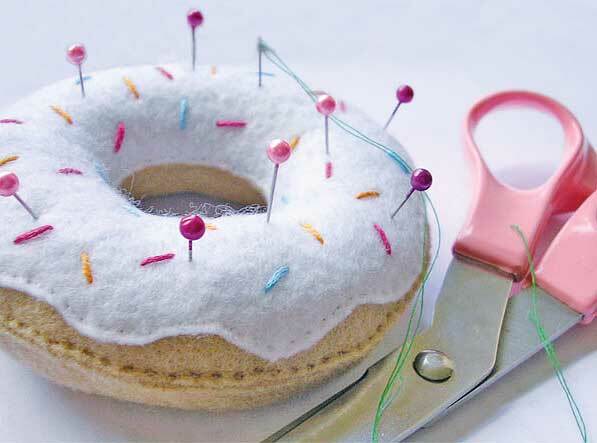 then you need this .Sew a foam to make it donut shape and there you go .you can now organize your pins easily. Mostly you have to tie your hijab with pins and most of the girls use common pins to do that .So why not to enhance the beauty of hijab by making those pins look really good.This simple diy button pin tutorial is the simple way to do that .Just join two buttons with glue stick then attach the pin with it and you are ready. Don’t throw away old accessories .you can always use them somewhere .All you need is the idea how to use them .use your old necklace with hijab which you don’t wear now . If you are looking for ideas how to organize your hijabs easily then you really need to see this simple tip.All you need is the hanger , bathroom shower rings that is it . Put those rings in the hanger and put each scarf in those rings .you can organize many hijab like this thereby saving the space in your wardrobe.With this it is easy for you to choose any hijab you want to wear once you are in hurry to go .Instead of looking one by one and picking one by one it becomes so messy . Lastly a flower of your choice you wantFollow this pictorial tutorial and there you go .